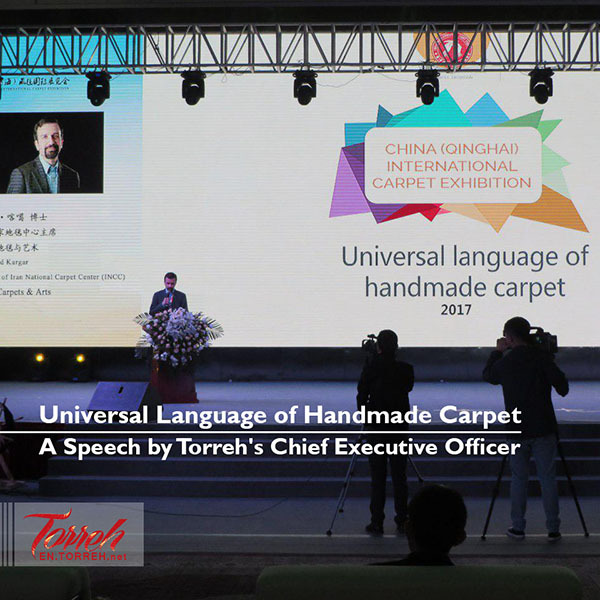 A Speech by Torreh's Chief Executive Officer | Hamid Kargar, Torreh's chief executive officer, presented a speech on "Universal Language of Carpet" through Xining 14th Carpet Exhibition. 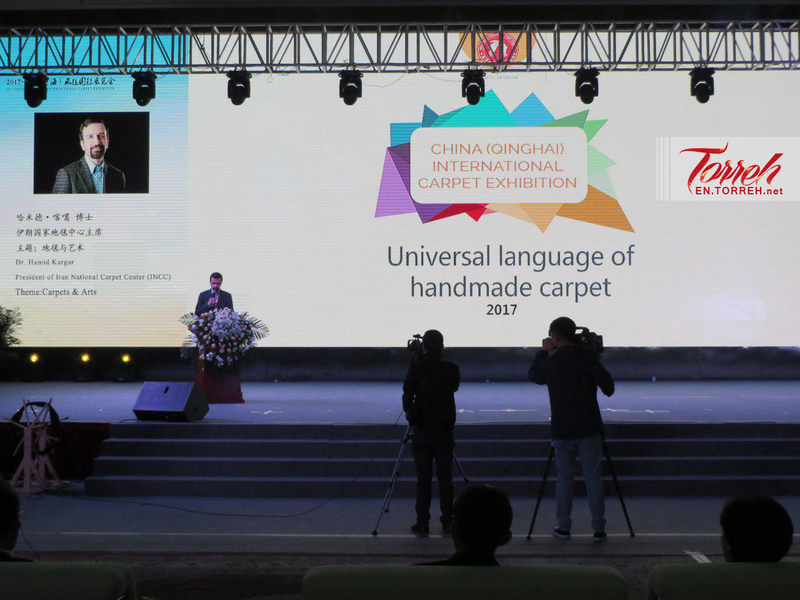 Hamid Kargar, Torreh’s chief executive officer, presented a speech on “Universal Language of Carpet” through Xining 14th Carpet Exhibition. I am glad to be here again this year with people who have gathered together to celebrate an event. 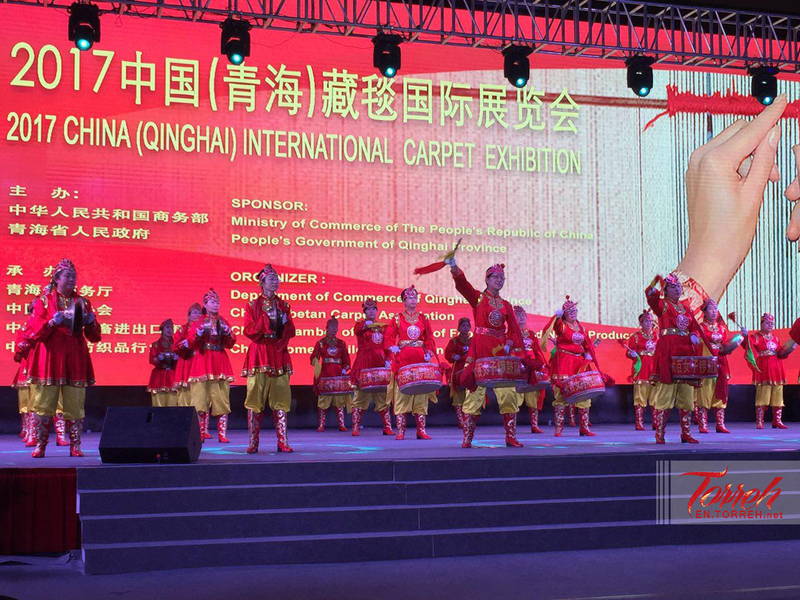 Qinghai carpet exhibition is being inaugurated for the 14th time. This by itself is an immense success produced by small and dedicated team of our friends in CTCA and effective and wise support of the honourable Governor and commerce department. I would like to thank them on behalf of the INCC and all Iranian participants for their valuable effort and hard work. 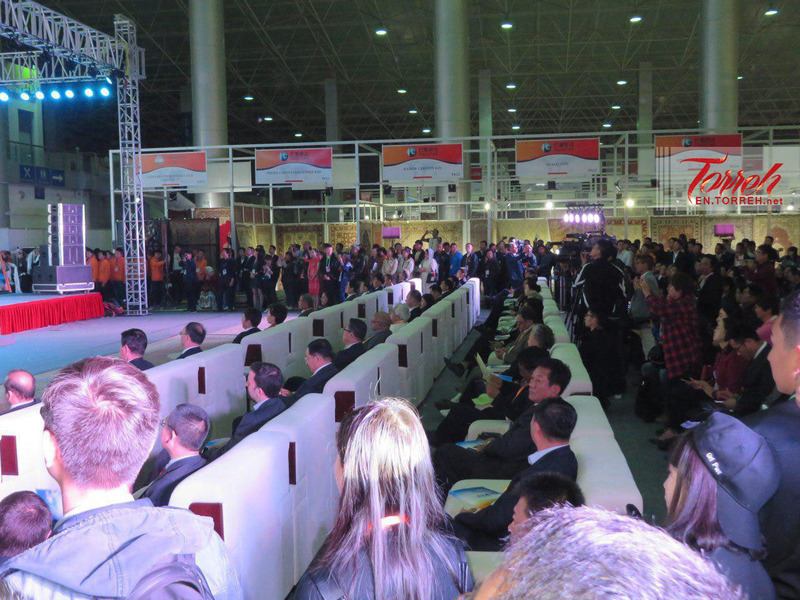 Participants of this exhibition come here from 10 countries. A number that by itself worth contemplation as well as admiration for the organizers. 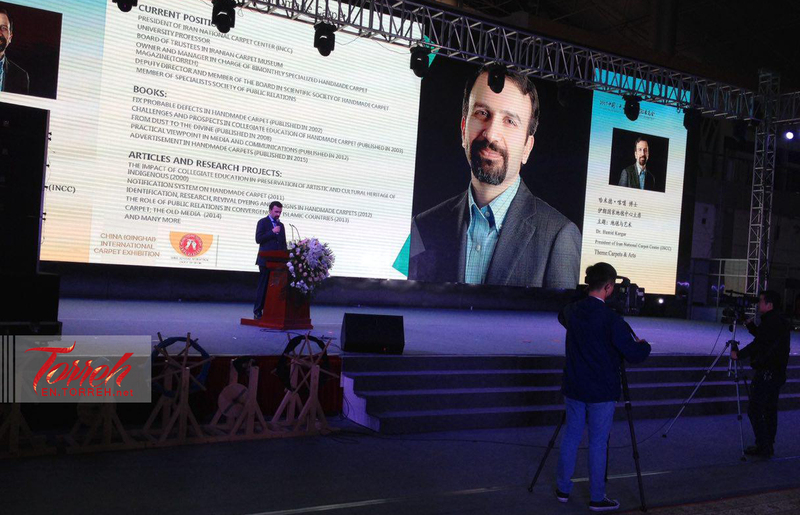 This success wouldn’t have been possible without the existence of the idea of the connecting the countries and civilizations through the silk road that so wisely was initiated by President Xi. An idea that is supported by our government and that’s why you see many of our honourable representatives here today. I am honored to be here to represent the ancient art of my people. One that has been practiced by Iranians for thousands of years. An art that goes beyond boundaries and nations. A beautiful phenomenon that does not belong only to us but to the human kind. 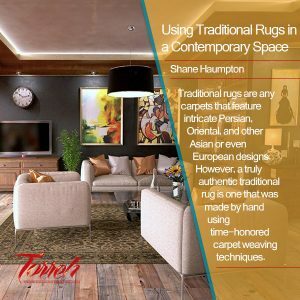 Majestic creations that go beyond merely Luxurious carpets because the wealth of culture, love and feelings are so tightly intertwined in their warps and wefts. A Persian carpet is not just a sophisticated fabric with complex designs and motives. 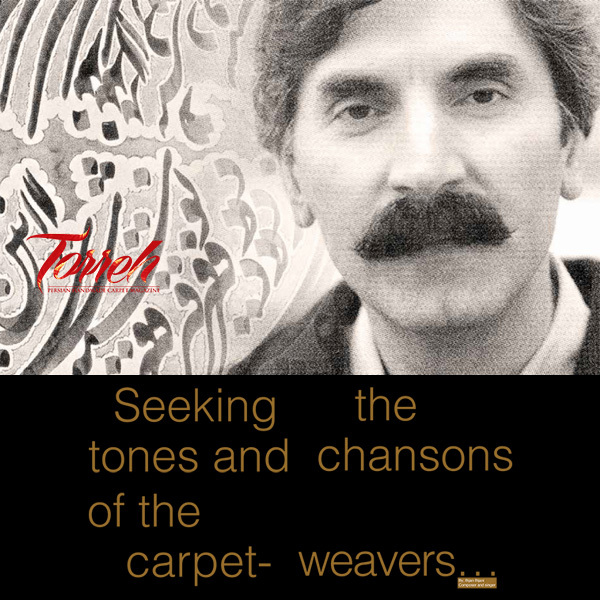 A Persian carpet is culmination of emotions that a weaver reflects in every knot he or she makes. Carpet making in Iran is not just a work to generate income but in most cases performance of an ancient ritual. Our carpets are not woven by hand but by heart and thus they are mysteriously different. In the troubled world of today, where our home becomes a refuge to escape from worries of daily life. A nest to spread our wings over our children and a convent to find our peace. In such environment carpets could sing in the language of love and hope. I invite you all to discover the secret language of carpets and look at them from a different angle. I encourage you all to see life behind the carpets and discover the wealth of feelings, history and culture that they carry. At this point I am going to talk to you of a language that tribal rugs speak in. One that is understandable for us all regardless of our nationality. 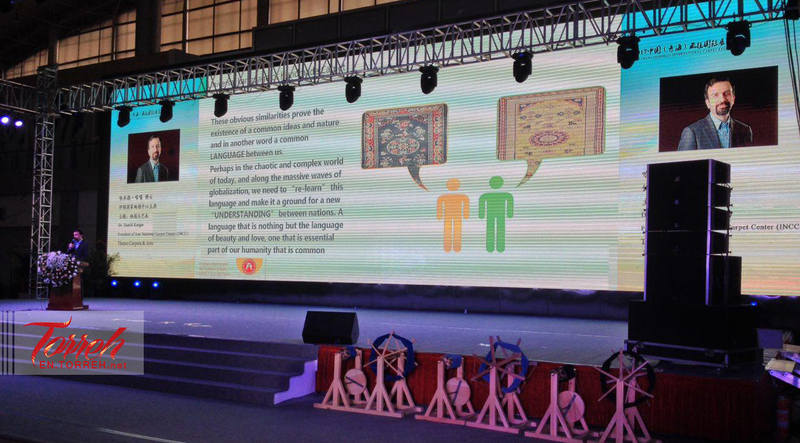 A language that joins the creator and creation together and connects them to the world. As the tribal carpets are woven form memory, based on traditions of each region, I believe they speak in a language that is risen from the subconscious of the weavers perhaps belonging to the world beyond what our senses could comprehend. Conceivably that is the reason for similarity of the tribal weaves and their motives from China to Central Asia and from Iran to weavings of natives of America. 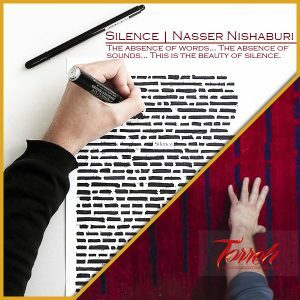 These obvious similarities prove the existence of common ideas and nature and in another word a common LANGUAGE between us. Perhaps in the chaotic and complex world of today, and along the massive waves of globalization, we need to “re-learn” this language and make it a ground for a new “UNDERSTANDING” between nations. A language that is nothing but the language of beauty and love, one that is essential part of our humanity that is common among all of us. so that I may explain the pain of this love. seeks to return to the days of origination. I believe a look at our history could help us to overcome the challenges of today. 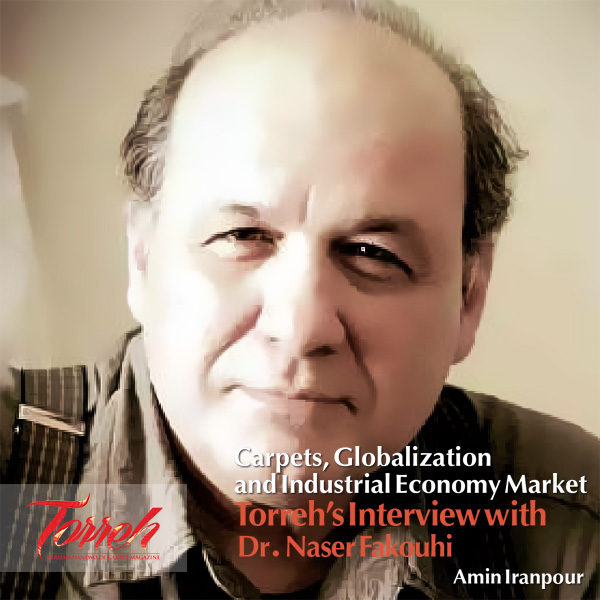 The great nations of China and Iran hand in hand with other nations created the SILK ROAD which was the first wave of globalization 2000 years ago and created a highway of not only trade but cultural exchange that influenced the world then and even the ways in which we live today. We have a huge responsibility today as inhabitants of this important achievement of our fathers. Persian carpets play an important part as messengers of beauty, peace and love. A product that has been trading along the silk road for thousands of years, together with silk from China and spices from India. A product that has adorned the palaces and houses around the world and has always spoken the language of love and friendship. 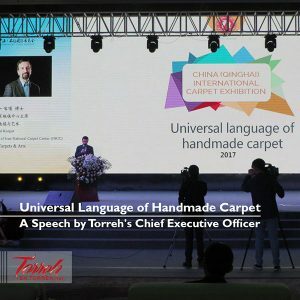 Here, I would like to acknowledge our brothers and sisters from our host nation, China and other carpet producing nations and millions of weavers from my country and theirs. Carpets are products of love and hope. Master crafts man with beautiful, artistic minds could be found everywhere. Great nation of China has proven throughout the history that they are masters in creation of art as well as appreciation of beautiful objects. A weaver spends months and sometimes years to create a carpet. Let’s honour all the unknown artists whose work bring warmth and happiness to our homes around the world. And for all of us lets take it as a responsibility to spread the appreciation for this beautiful art among our people. It is only through corporation and friendship between us that we can do better. May beauty of peace and happiness be with all of you.